MORGANTOWN, W.Va. (November 12, 2018) – The ATV Motocross National Championship (ATVMX), presented by CST Tires, an AMA National Championship recognizes the sacrifices made by our service men and women and is pleased to announce the continuation of their partnership with the Veterans Tickets Foundation. 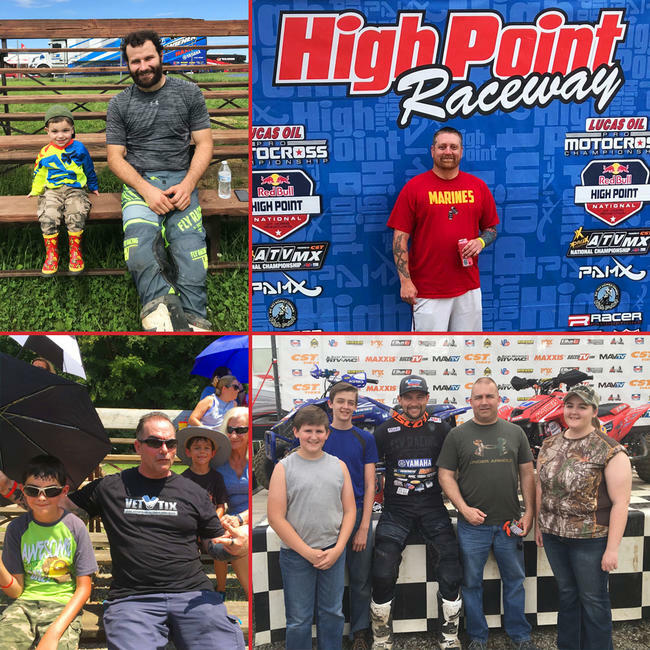 This generous effort will provide military veterans with the opportunity to obtain free admission at 8 of the scheduled rounds (excluding Daytona and Ironman Pro only events) of the world’s premier professional and amateur ATV motocross series. 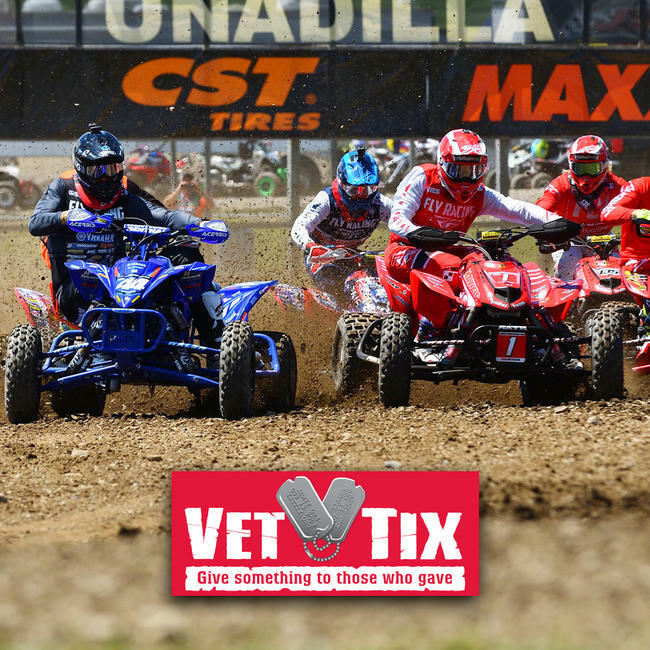 ATV Motocross will donate 40 tickets to Vet Tix for each stop on the 2019 schedule, totaling in 320 across 8 rounds of the series. These tickets will be made available to both active duty and retired service men and women, and their families, at no cost. Each set of tickets will be made available two weeks prior to each respective round of the season, and can be claimed on a first come, first serve basis through VetTix.org. The 2019 ATV Motocross National Championship Series will be partnering with Vet Tix inviting active duty military and veterans to the races. There will be 320 tickets donated to active duty military and veteran families this season. All active and retired military veterans can create an account on VetTix.org to receive emails and reminders about when the ATVMX tickets become available. More information about Vet Tix can be found at VetTix.org. 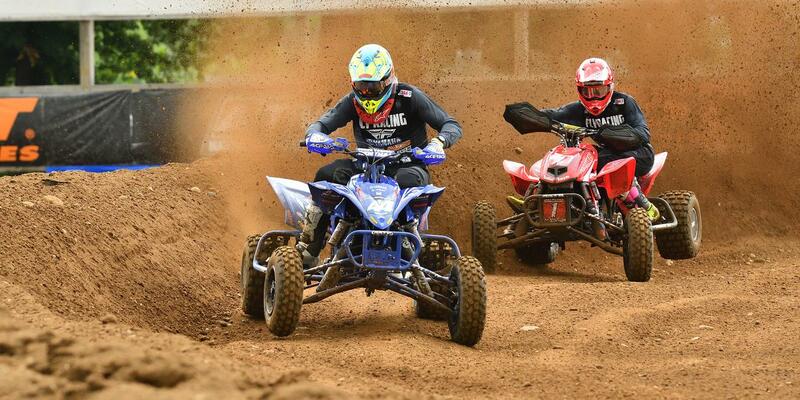 The ATV Motocross National Championship presented by CST Tires, an AMA National Championship, is the nation's premier amateur and professional ATV motocross series, hosted at top motocross facilities nationwide. The 10-round pro and 8-round amateur series features the Nation's best racers, teams and sponsors, and is America's largest and longest-running ATV national motocross program. Since 1985, the series continues to expand and produce top talent from the amateur ranks, while premiering the professional class. For more information, please visit www.atvmotocross.com.